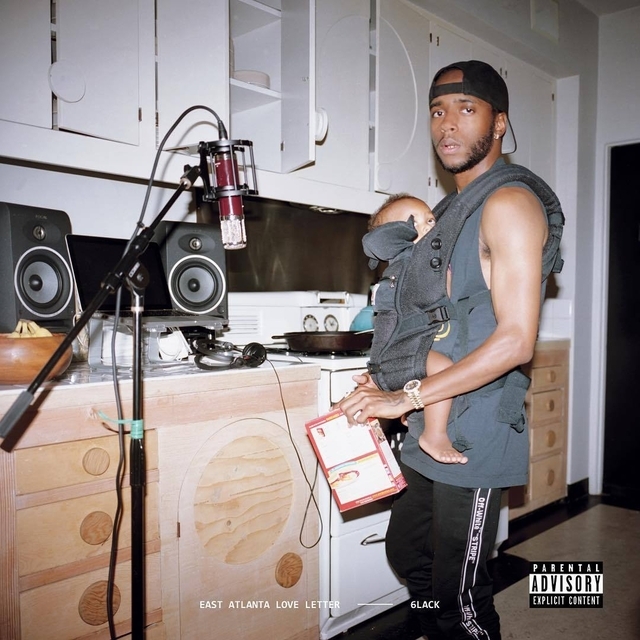 Two years after releasing his breakthrough album FREE 6LACK, dual threat 6LACK has returned with the East Atlanta Love Letter LP. The rapper/singer’s new album includes 14 tracks with guest appearances by J. Cole, Future, Offset and Khalid. Production is handled by Bobby Johnson, Stwo and T-Minus, among others. Check out 6LACK’s East Atlanta Love Letter stream, cover art and tracklist below. 6LACK is getting some heavy co-signs on his upcoming East Atlanta Love Letter album. In the newly released tracklist for the album, which arrives this Friday (September 14), 6LACK revealed features from Future, Offset, Khalid and J. Cole among the project’s 14 tracks. 6LACK will also be taking the show on the road with a tour that starts in South Africa on October 5 and that wraps up in his hometown of Atlanta on December 21. Check out the tracklist below and scroll down further for more info on the album. Is 6LACK a better rapper or singer? While you wrap your brain around that question, the multi-talented artist has revealed some key materials for his upcoming album, East Atlanta Love Letter. He also revealed the LP’s drop date, which will be Sept. 14 via LVRN/Interscope Records. Fans in-the-know received postcards earlier this week that debut the album’s cover art and release date. To date, two singles in “Switch” and “Nonchalant” have been released to support the forthcoming album. A few weeks after the album’s release, 6LACK will embark on his From East Atlanta, With Love Tour. Check below for those dates.